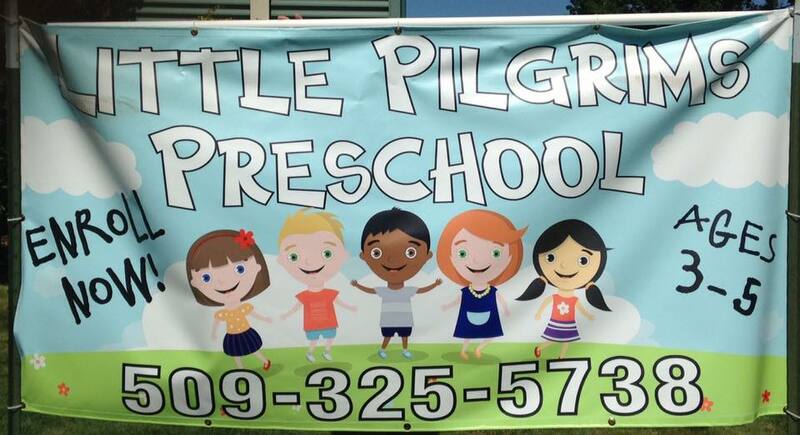 Little Pilgrims Preschool offers a wonderful trip to the Pumpkin Patch in Greenbluff in the fall. We have special days like Grandparents Day, Christmas Program, and Graduation. Mrs. Davis has worked hard to make sure her preschoolers are ready for Kindergarten in Reading and Handwriting. In fact, Mrs. Davis uses the same program that Spokane Public School District 81 uses, Handwriting without Tears. 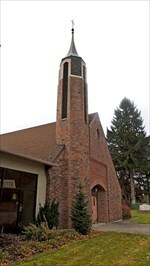 Little Pilgrims Preschool has daily Bible Story Time and a weekly Chapel. The quality of care, safety and education is amazing. I've noticed a huge difference in my daughter's learning abilities and every day activities. She loves going to school and always talks about how fun her day is/was. I can't thank you enough for all that you both do for the kids. ~ Jessica C.
We have such amazing volunteers who help in every way. Pastor Kirk and the Director of Christan Education, Brittany regularly lead chapel including two seasoned Sunday School Teachers, Mrs. Barb and Mrs. Donna. Plus an entire Preschool Board to help and support! We are a ministry of the church in which our preschool is located. So your child literally has the support of an entire church congregation keeping them in their thoughts and prays. ﻿﻿ Click here to learn more about the church that supports us. Our Preschool classroom is custom made just for us! We have a beautiful mural on our classroom walls and it is a fully stocked preschool including our own fenced in play ground. ​My daughter loves school and her teachers, she often pretends to be Mrs. Davis while teaching an imaginary class. ~ Sam N.
"Mrs. Davis and Mrs. Hope are wonderful teachers. There is a reason I sent all my kids to Mrs. Davis. She creates a wonderful environment and my kids always knew they were in a loving caring place. All my kids were ready for kindergarten by the end of the school year. We love you guys!" - Sarah K.
Our son was very shy and a little behind academically before he started Pre-K. After he started he immediately started to come out of his shell. He proved to learn a lot and he is right on track for kindergarten. Our son has sensory processing disorder and Mrs. Davis and Mrs. Hope were very accommodating to his needs. We cannot say enough great things about this preschool. ~ Kayla F.
This is my daughter's second year and my son's first year at Little Pilgrims Preschool and I am sad to end this season of life. Mrs. Davis and Mrs. Hope have been nurturing and professional in every way. My children love coming to school and they are excited to tell me about their fun day. Thank you for two great years! ~ Janice M.
We love Little Pilgrims. It has been a welcoming environment for my son to learn and grow. Every interaction with Mrs. Davis and Mrs. Hope have been positive and appropriate. Thank you! ~Megan G.